The high temporal stability and close spectral match combined with the ability to control the output spectrum via multiple separate wavebands means the Unisim solar simulator is the only solar research tool designed for the accurate measurement of multiple junction devices, including the new generation of four junction devices. 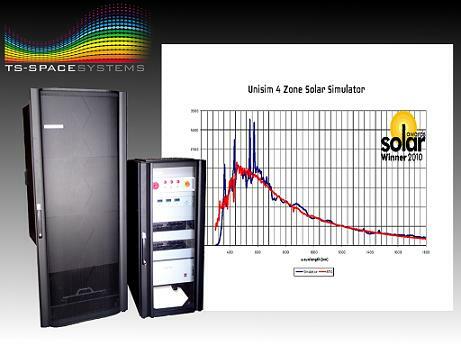 Using the latest HMI and halogen luminaire technology, the Unisim solar simulator provides a highly stable area of illumination. The simulators also use cutting edge filter technology in order to provide the best spectral match available for AM0 and AM1.5. Further to this, the spectrum can be achieved via two, three or four separate spectral wavebands which allows a high degree of spectral control for research and development. Includes IV measurement software for Agilent B9200 source meter.